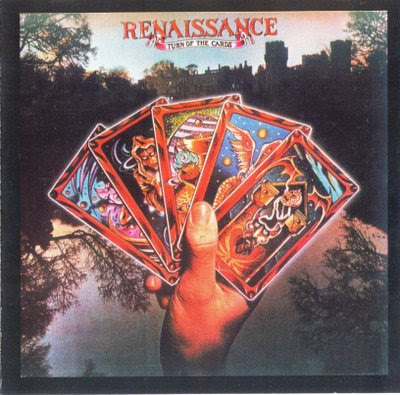 This in my opinion is one of the better Renaissance releases from the 1970’s but their catalog is so full of classic music that to single out Turn Of The Cards seems rather silly. Still, it’s one that I play quite often and John Tout’s beautiful piano intro to Running Hard and the song itself with Haslam’s stunning vocals start the proceedings off wonderfully. I ask, in the field of popular music, was their a female vocalist that came close to the voice of Haslam? I can think of very few-just an amazing talent and how lucky we are she chose Renaissance as a vehicle for her career. I Think of You of you is a nice ballad, but more interesting is the jazzy Things I Don’t Understand followed by the hauntingly beautiful Black Flame adding to the occult mysticism of the albums cover art. Love the harpsichord work here. The closing Mother Russia is classic Renaissance with a melody and images that stick in your head of that great Nations rich and sometimes bloody history. A superb album.